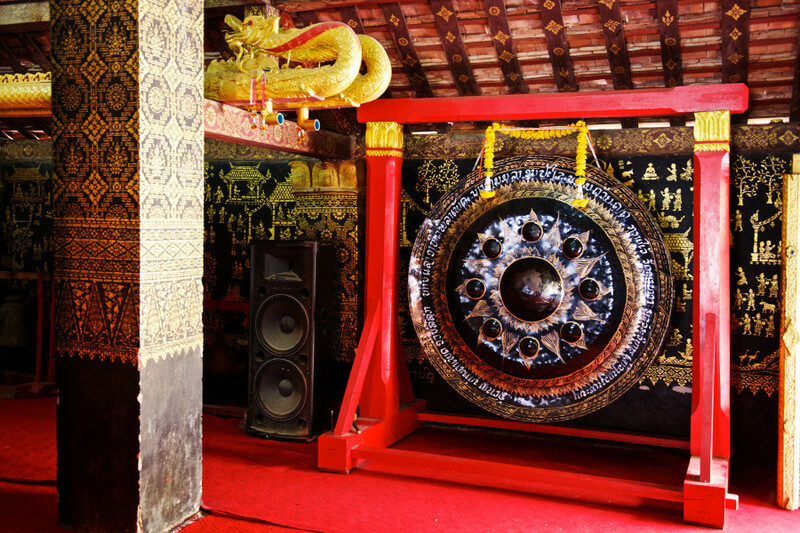 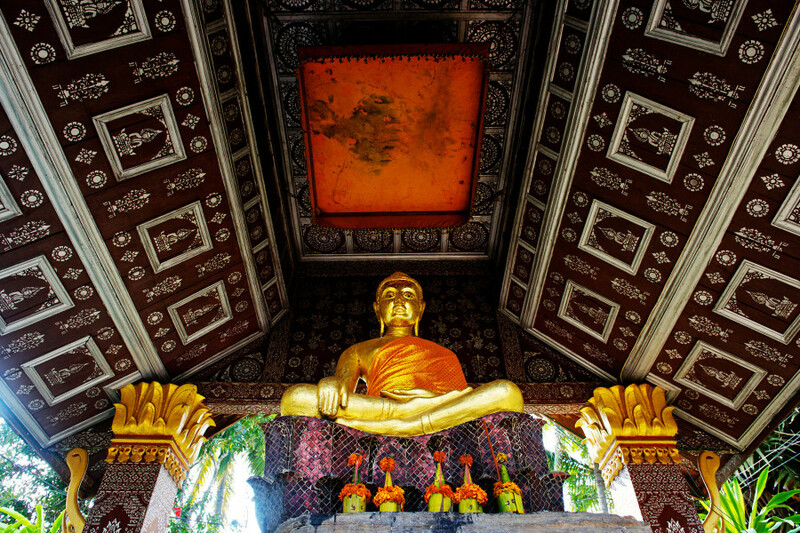 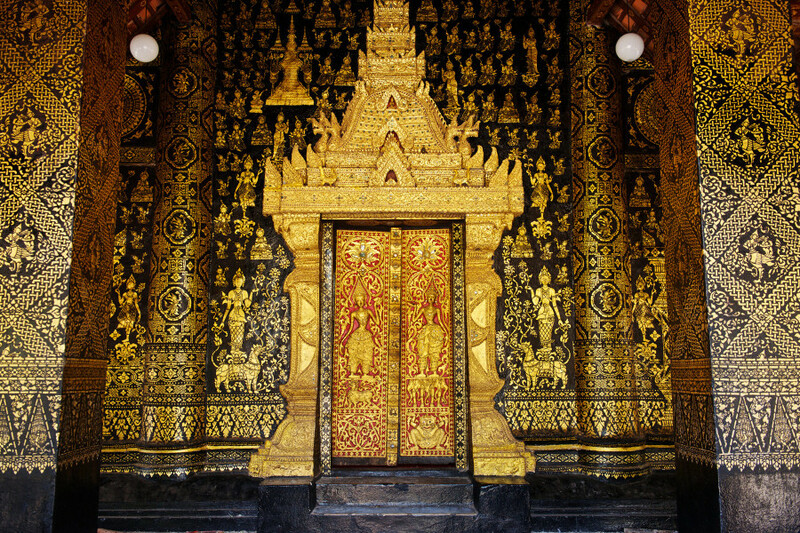 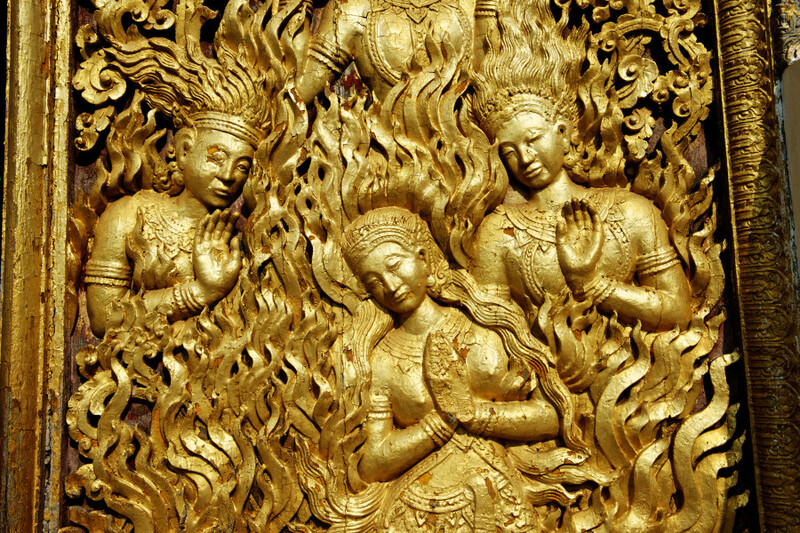 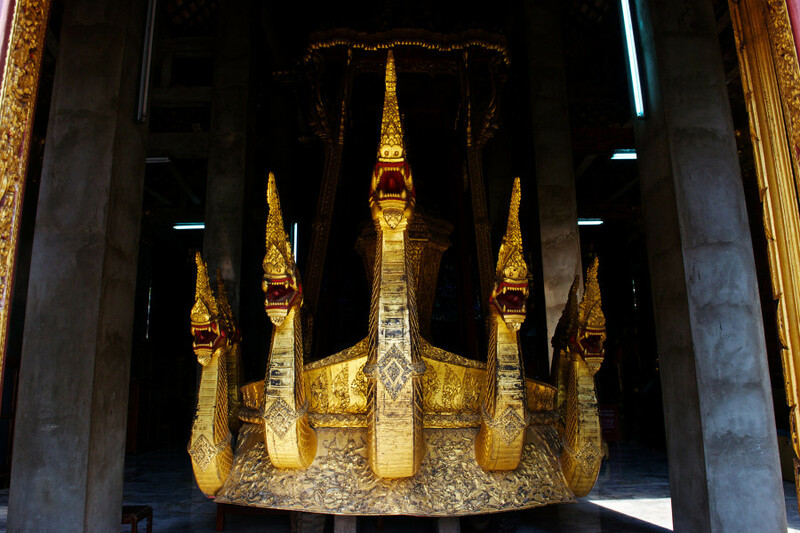 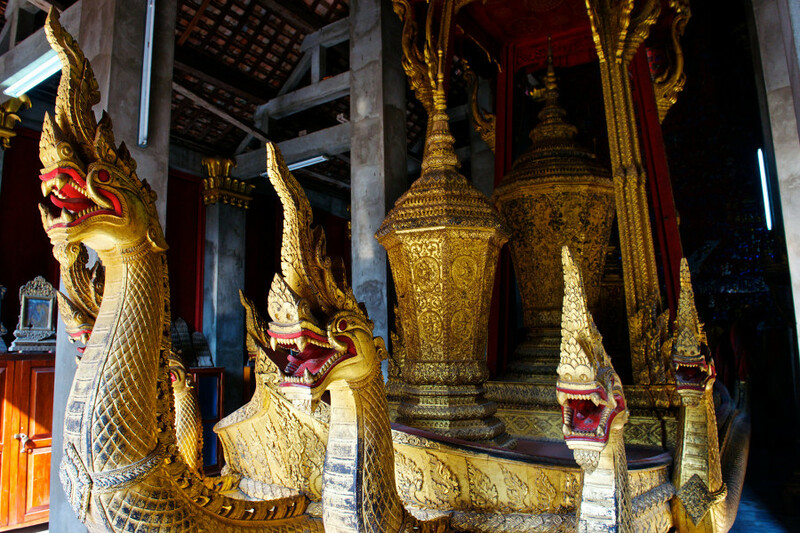 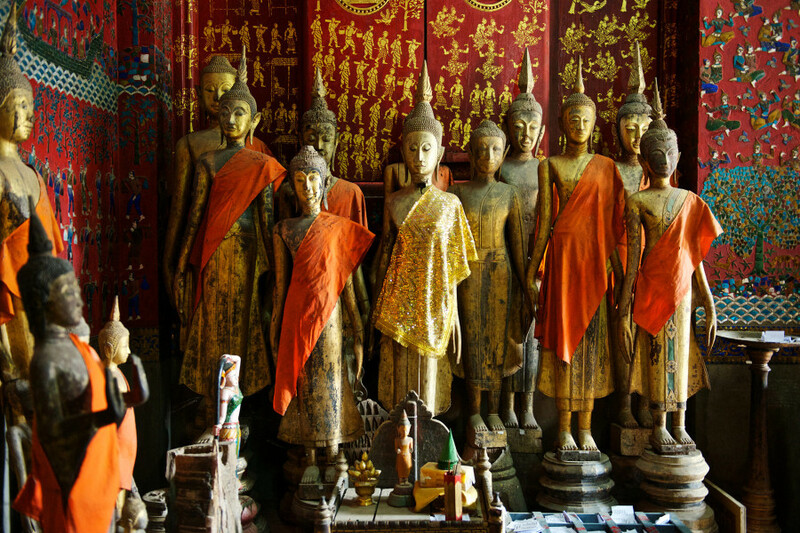 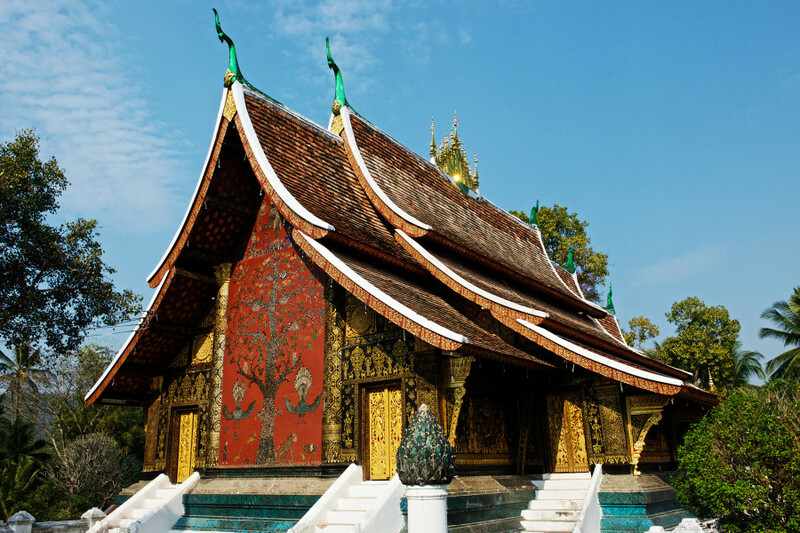 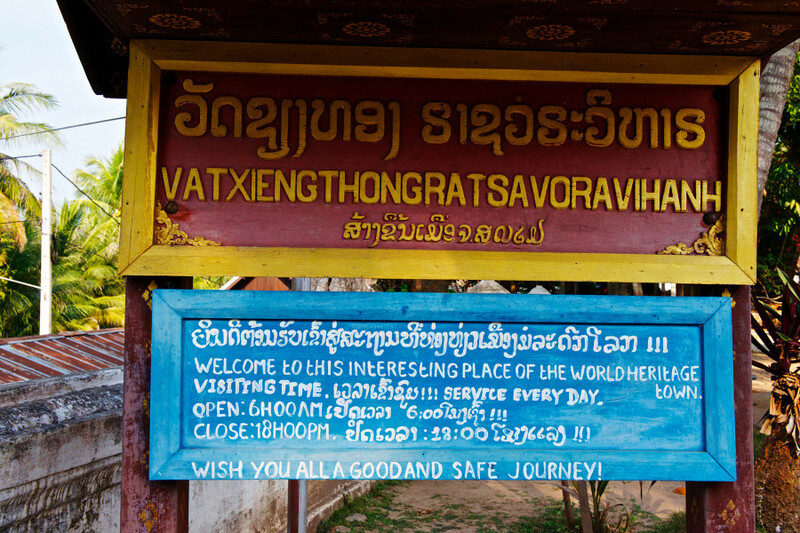 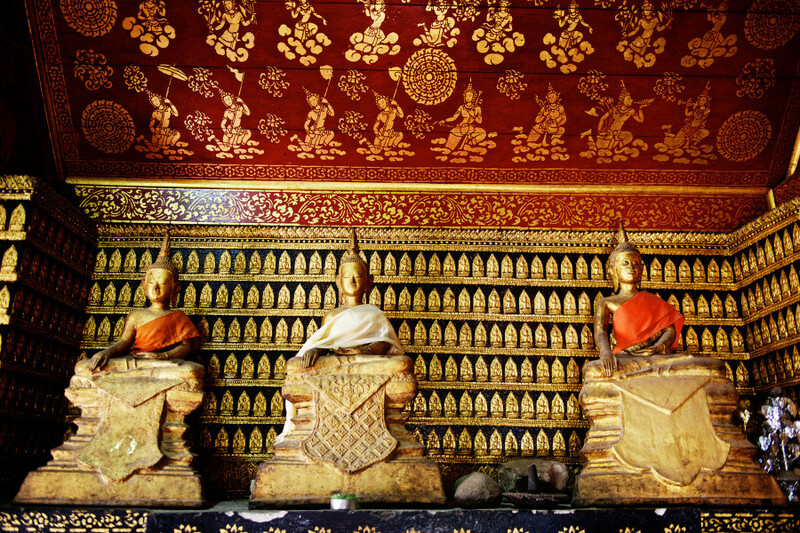 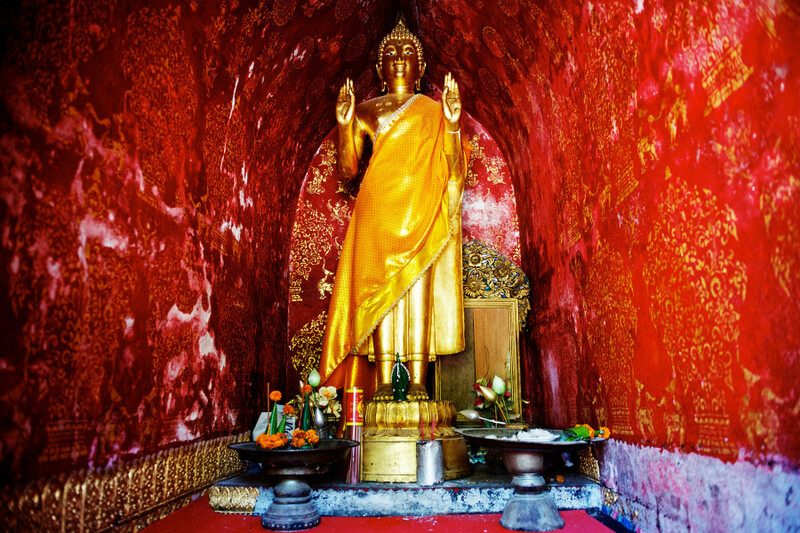 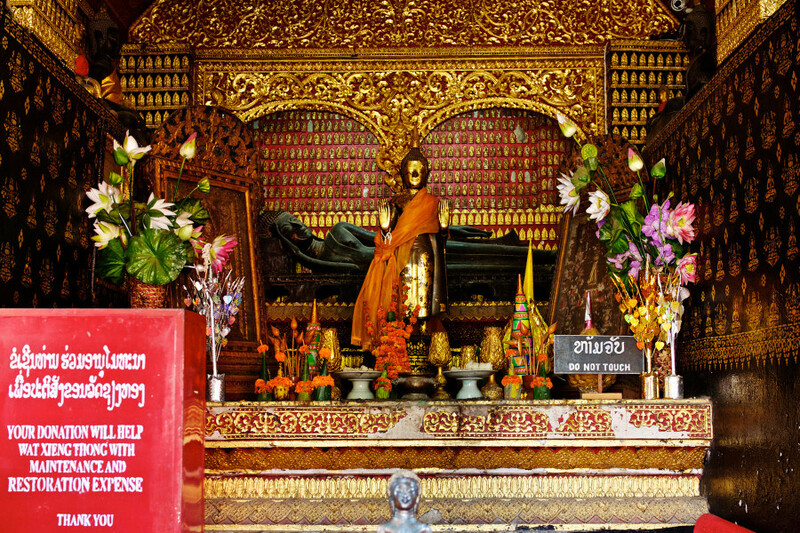 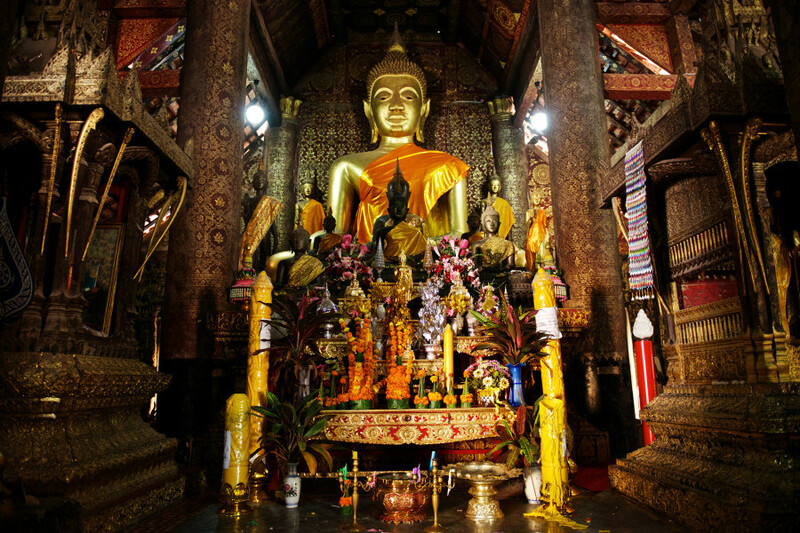 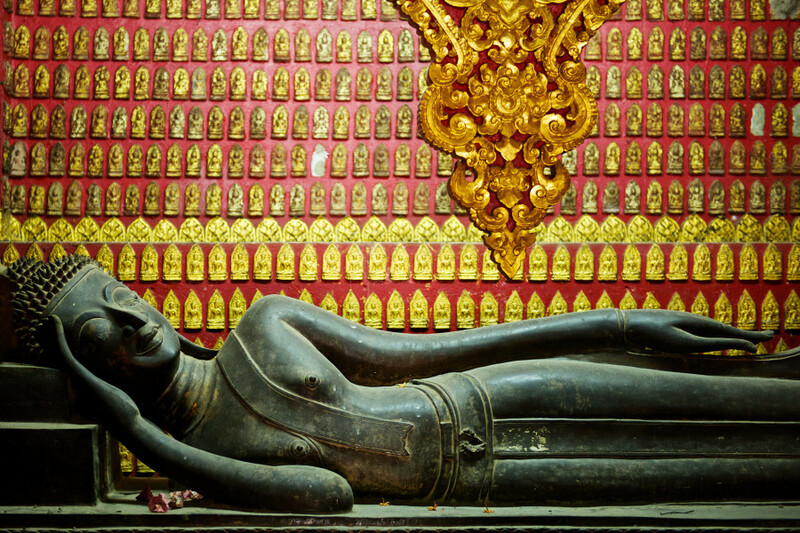 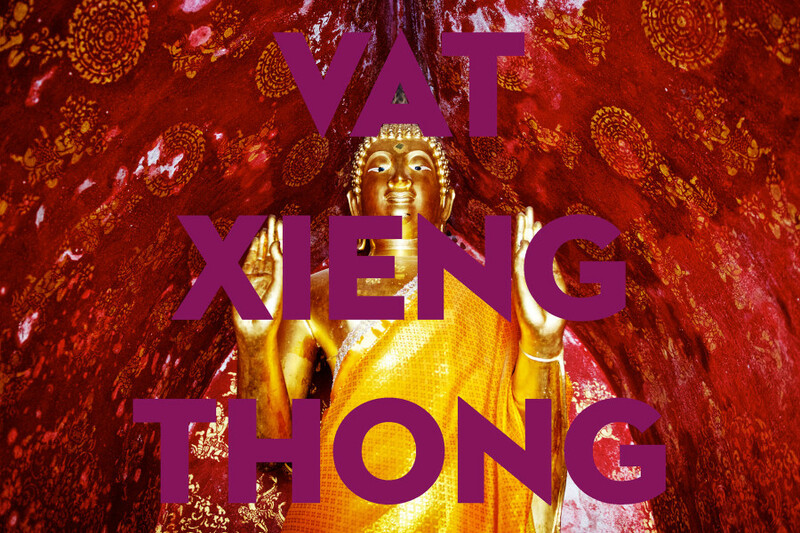 Built in 1560, Vat Xieng Thong is a lovely Buddhist temple at the far tip of Luang Prabang. 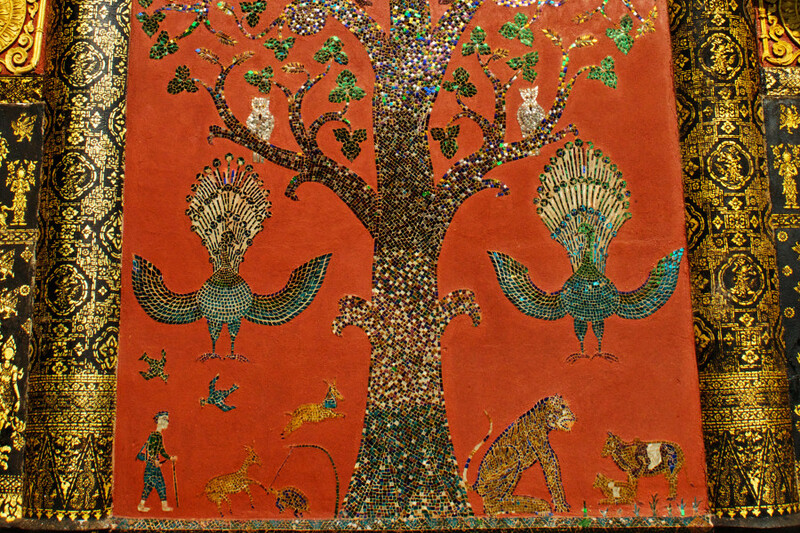 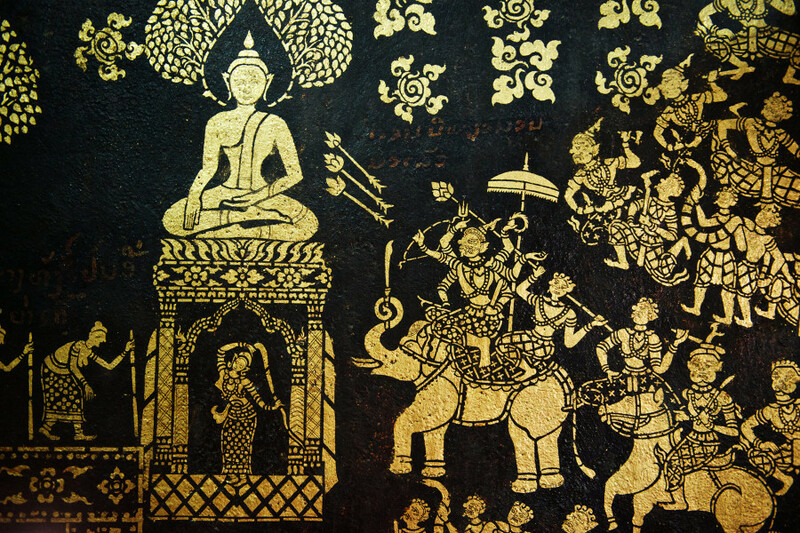 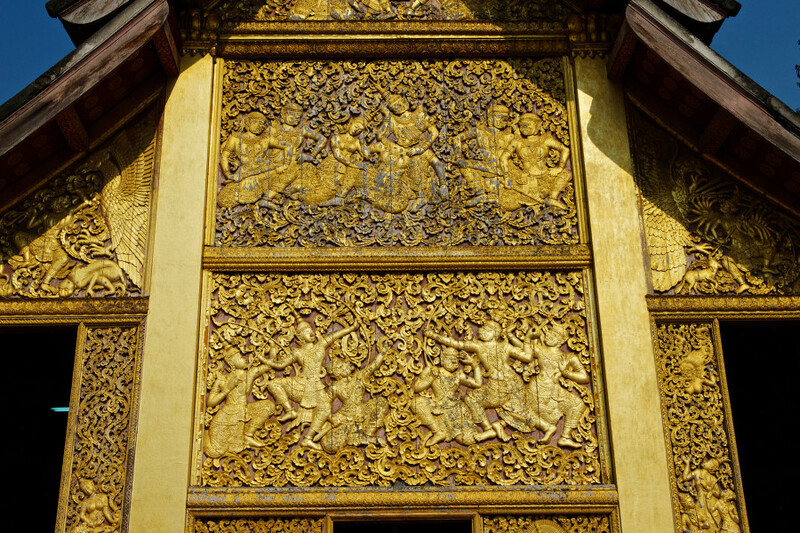 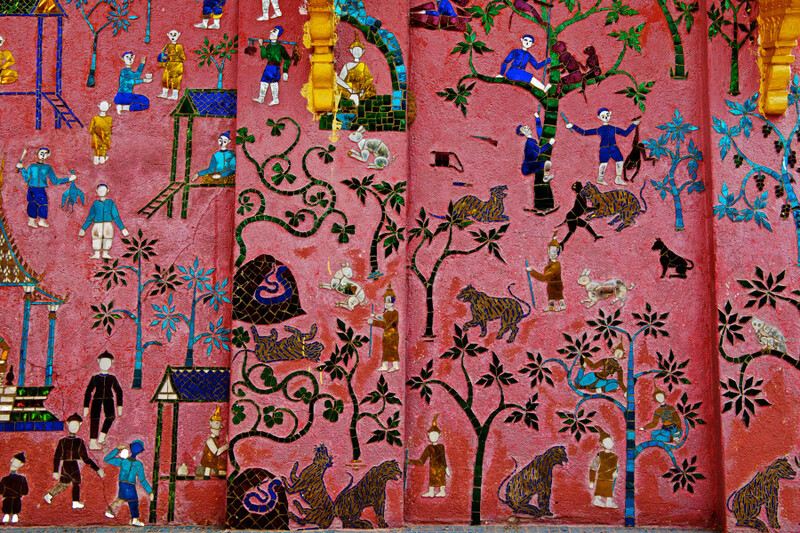 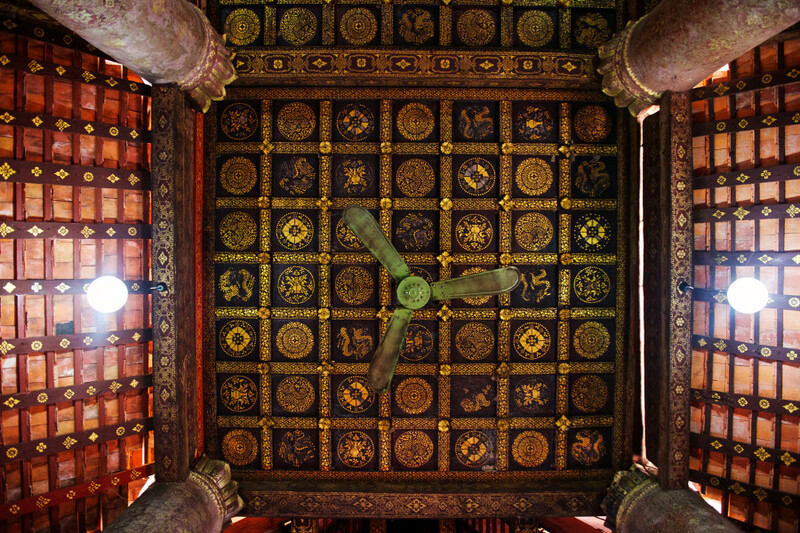 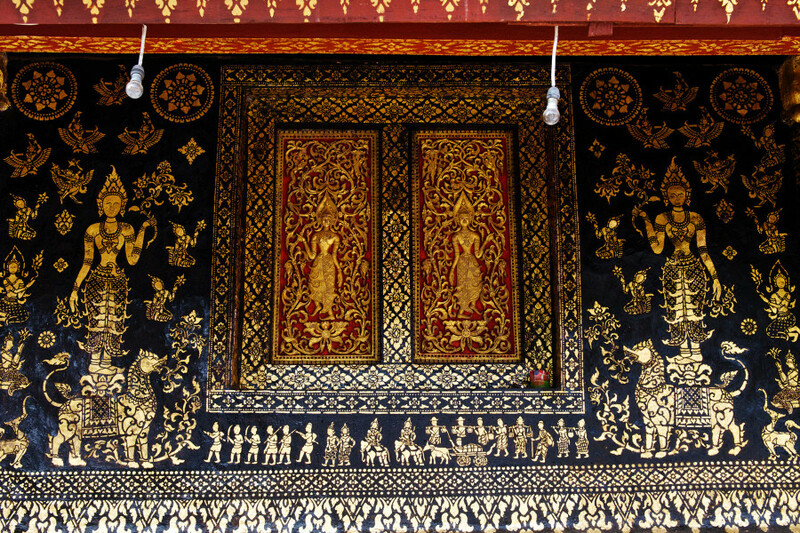 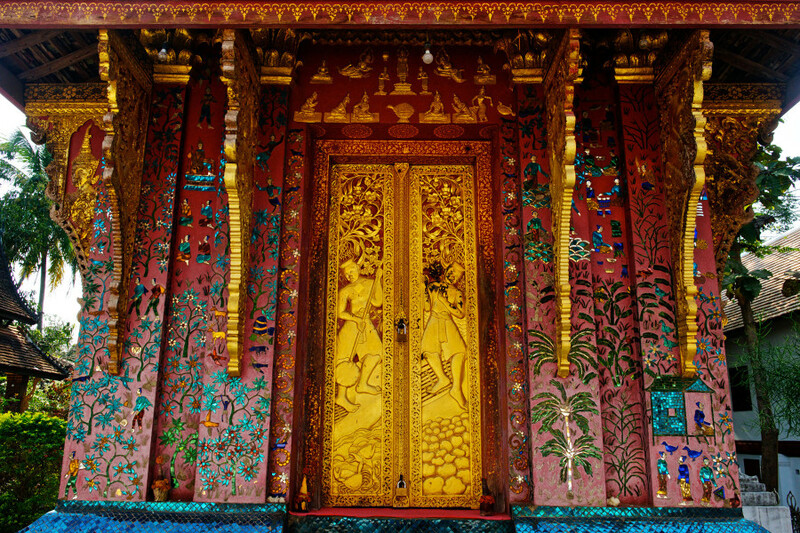 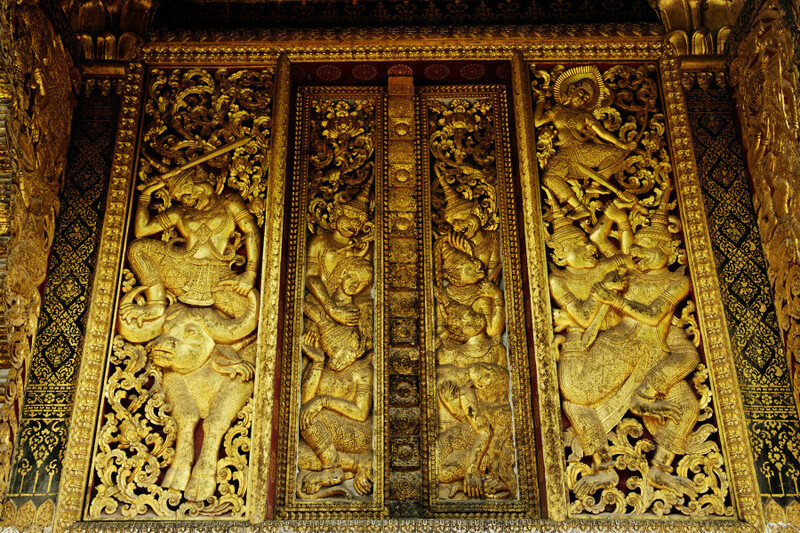 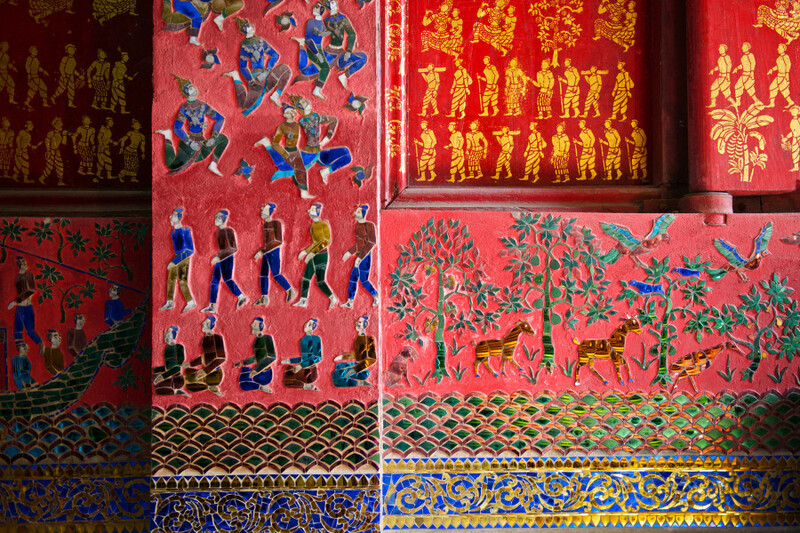 The various buildings are covered in carvings and mosaics depicting scenes from Buddha's life, dharmachakras, the tree of life and Lao legends. 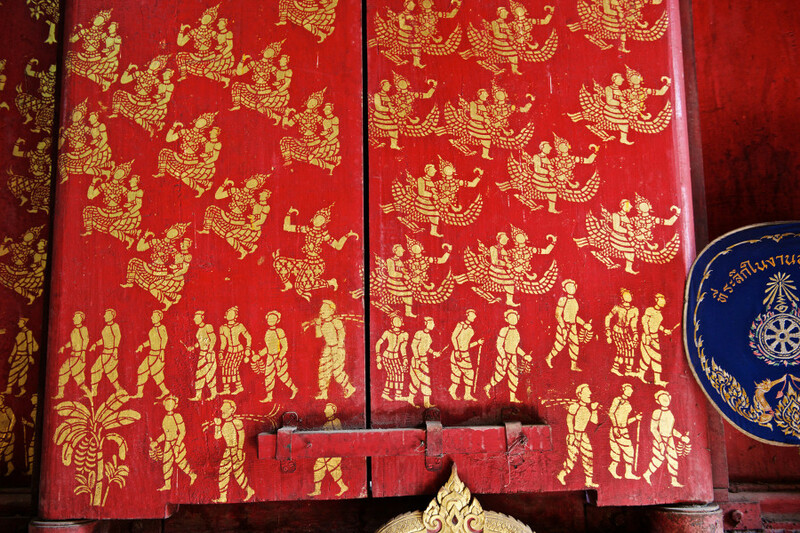 Photographed February 2013, in Luang Prabang, Laos.